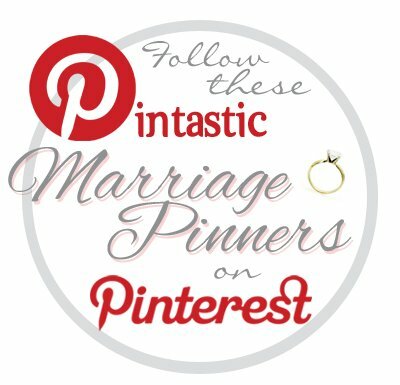 A guide to all the important things in life- marriage, family, cooking, gardening, reading, travel, Christian living… And whatever else grabs my attention! Brothers, I could not address you as spiritual but as worldly—mere infants in Christ. I gave you milk, not solid food, for you were not yet ready for it. Indeed, you are still not ready. You are still worldly. For since there is jealousy and quarreling among you, are you not worldly? Are you not acting like mere men? Many marriage problems are not marriage problems at all, but are people problems. I’m continually harping on the fact that people — we — are naturally selfish. Look at a baby. Does it care that you have slept only 4 hours? Is it concerned that you have 2 other children to care for? Of course not! What about later, when he is expected to share? Does it come naturally? Not for most children. But hopefully, as a child grows older, it learns to be less self-centered and more others- centered. When two emotionally mature adults marry, they still have problems that any other married couple have, but they can work through them. Brother Chuck mentioned 4 characteristics of immature Christians, and they are the same for immature spouses. They are unable to digest the “meat” of the Word and were stuck in the elementary lessons. Immature spouses are unable to unable to digest the “meat” of real relationships, including the challenges that come along with them. Instead, they withdraw, either physically or emotionally. They are incompatible with their spouse. Jealousy and quarrels abound. 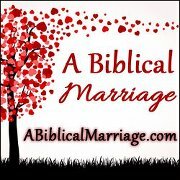 Remember that Godly marriages have a supernatural enemy who hates God and us, and wants anything glorifying God to fail. When we fight with one another, we can’t fight him. He doesn’t even have to fool with us because we’re not a threat to him. They are unstable, tossed to and fro depending on the mood of the day or the advice of whomever they are talking to. They are irresponsible. Any marital problem is laid at the feet of their spouse; it’s never their fault! Yikes. I waffle back and forth, much to my chagrin. But I’m working on it! Oh, and a note to people with dogs…puppies don’t care how long you’ve slept either! Don’t we all lol? Maybe we can keep our aprons on today! Funny about the puppies! What are you wearing today? A bib or an apron? I love this! 🙂 Also, the apron pix! Where did you find it? It’s ADORABLE! 🙂 LOL! Blessings Auntie Em! Thanks! It’s online at theApronShoppe.com. If you click the picture it’ll take you to it. Thanks so much for visiting, Shandy! I try my best to keep the apron on, but you the bib has its moments! So very glad to read this, It struck a cord in my heart ! 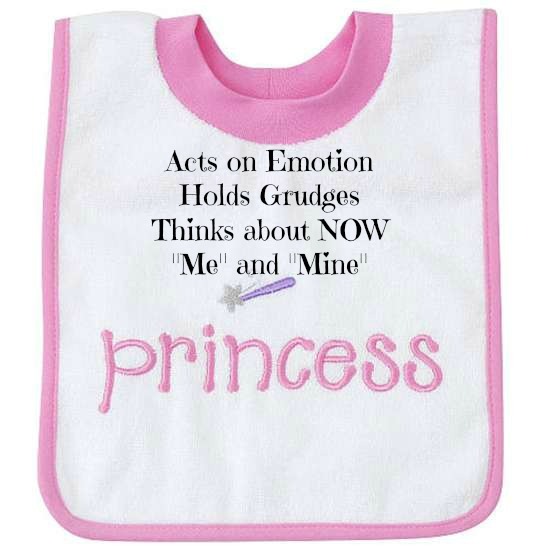 Sad to say Im mostly in the Bib stage at the moment and don’t know how to turn it around. I’ve given up. Sucked dry, nothing left to give. Oh Mimi, I’m so sorry you are in a dry period now. I pray that God and the people in your life will nourish and replenish you. Thank you for reading, and sharing your heart with us. Sweet readers, will you pray for Mimi too? Thank you for your kind words and request to your readers. I too hope they pray for me as this ‘dry period’ has been a long, long time. (years) that is why I say I’m to the point that I have given up,of nothing left to give. But maybe like a baby all I have left is tears and all I can do is cry, Sad to say the people in my live won’t be nourishing or replenishing me as they are the ones that have sucked the life out of me . I will have to find the courage to nourish myself. When I read Mimi’s last remark I think of the woman at the well – John 3. Jesus promises we’ll never be thirsty. So may I encourage you to draw toward him, in faith, and sit with scripture – perhaps that chapter – and wait until he begins to quench your thirst. We can’t do it alone, and we do need human hands and feet but Jesus and His Word can do much. I pray this will fill you with refreshment. Coming here from the blog hop. Very interesting and thought provoking post! Thanks Sasha! I’m so glad you came over! Ok WOW this was a big blessing to me today. Thank you for posting this. May I share this at my web site and link to YOU? Amazing. I am stopping by today from Women Living Well Blog Hop! I’m so glad; thank you! And of course, please share away. I appreciate it so much! This is so good and speaks to my heart. I’m glad that we mature the longer we are married and aren’t ‘stuck’ back in the immaturity of our youth. It is a blessing when a young couple starts off already mature as they are ready to weather the storms with much more calm. Thanks for sharing this over at WholeHearted Home. Auntie Em is here to help.